One of India’s leading wire and cable manufacturers, RR Kabel launched their social media campaign Aapne UCT Ko Dekha Kya, to highlight the benefits of UCT, an exclusive safety based technology from the brand. RR Kabel’s Aapne UCT Ko Dekha Kya campaign was devised to convey the benefits and properties of UCT, Unilay Core Technology, a revolutionary safety attribute incorporated in their products, to the general audience in a simple, yet engaging manner through the digital medium. The brand planned a series of engaging video posts, humanizing the concepts of UCT and Electricity in order to enable the social media audience to understand them easily. The brand aimed at raising the prospect of brand recall by simplifying the terms and adding humor to the videos. Two characters by the name of Electricity and UCT were the protagonists of the Aapne UCT Ko Dekha Kya videos, of which a total of 9 were created for RR Kabel to communicate their technology and its benefits to the audience. Electricity and mischief go hand in hand. Always. A short teaser was posted on social media to capture the attention of users before unveiling the three main campaign videos, explaining how the Unilay Core Technology prevents short circuits, loss of transmission and loose contact. 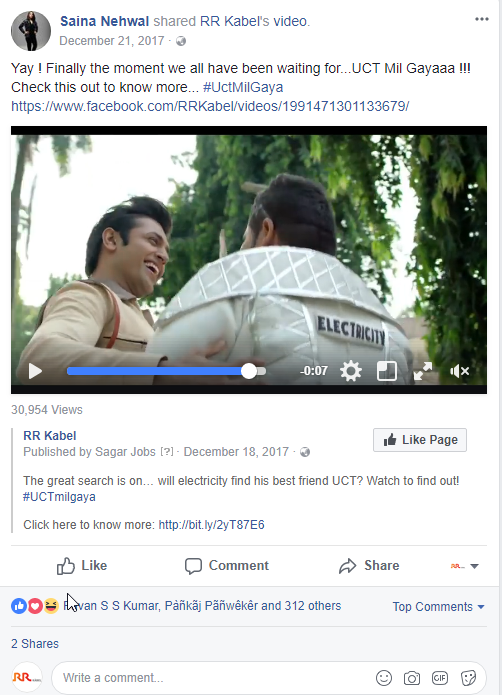 The three Aapne UCT Ko Dekha Kya campaign videos were based on the following stories, ‘UCT Electricity ko bachata hai’, ‘UCT helps in saving money’ etc. Furthermore, engaging posts were posted on social media for RR Kabel’s social media audience, adding an extra flair of fun with the audience participating in the activity with memes about ‘UTC ko dekha kya?’ and more. The brand also leveraged Influencer marketing by getting celebrities such as Rannvijay Singh, Saina Nehwal and Bani J to join the conversation. Aapne UCT Ko Dekha Kya received an engagement of over 73K, with more than 3.07 Lakh video views on Facebook. On YouTube, the campaign videos received over 39,57,237 total views. 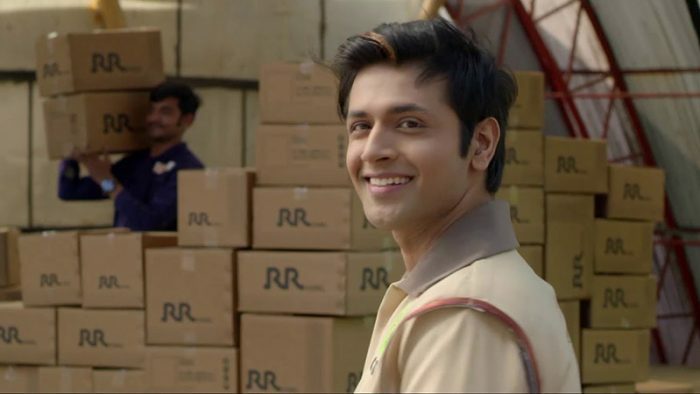 RR Kabel recorded over 6.8 Crore overall impressions, and it helped the campaign become the most successful campaign for the brands in terms of engagement, as compared to all their previous campaigns.